For the second consecutive year IFRI is ranked 2nd most influential institute in the world according to the 13th edition of the Global Go-To Think Tanks Index Report of the University of Pennsylvania unveiled January 31st in Washington. The institute ranks behind Brookings Institution (USA) and in front of Carnegie Endownment (USA). IFRI was also ranked as the first think tank in Western Europe followed by Bruegel (Belgium) and Chatham House (United Kingdom). The only French institute ranked among the top 150, out of more than 8,000 think tanks listed by Professor McGann's team, Ifri is at the top of the best international rankings in thirteen years, proof of its recognition and its influence abroad. “Over the past 40 years, Ifri has become a major institution, consulted by decision-makers and recognized by its peers. Our work aims to inform public and private decision-makers who work on the international scene. This ranking is testament to our excellence and reputation. We work for the benefit of the general interest and our platform, through its influence, contributes to a structured and informed public debate on global questions, in France and abroad, in the interest of preserving a reasonably open and peaceful world.”, says Thierry de Montbrial, Founder and Executive Chairman of Ifri. 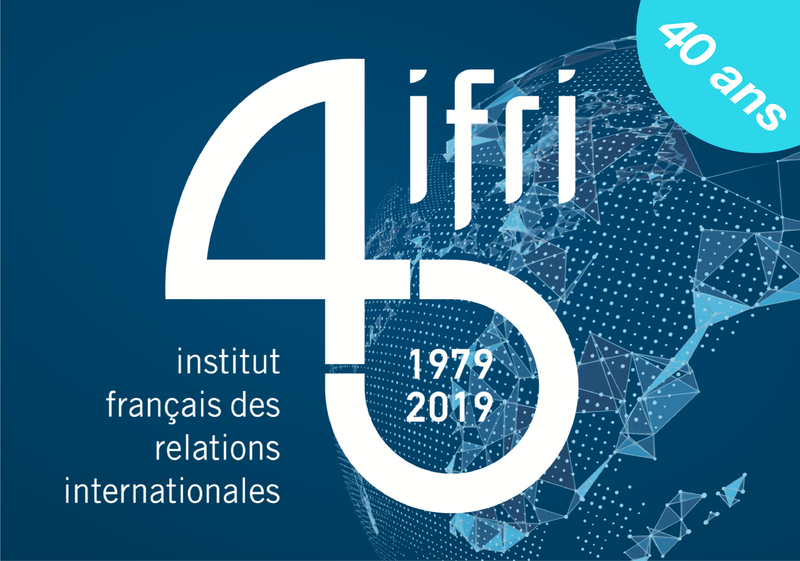 Founded (1979) and chaired by Thierry de Montbrial, Ifri is the leading independent research and debate institution in France dedicated to the analysis of international issues and global governance. Its director is Thomas Gomart. The institute brings together a multi-national team of fifty collaborators including about thirty permanent professional researchers divided into 10 research units around regional departments: Europe, Russia / NIS, Asia, North America (United States and Canada), Sub-Saharan Africa, Turkey / Middle East and cross-cutting issues: Security and Strategic Affairs, Energy, Space, Migration and Citizenship. Launched in 2006, the Global Go-To Think Tanks Index Report of the University of Pennsylvania has established itself as the leading international repertoire recognising the critical role played by think tanks and civil society institutions in global governance.